Read "What is an American?" and annotate it using SMILES. SMILES Chart -- Please create a similar chart on lined paper. 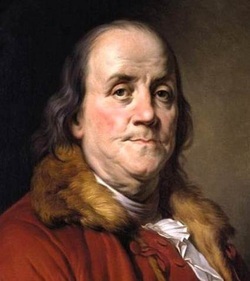 Here are some suggestions for places to look to find aphorisms by Benjamin Franklin.